Picking up where last week’s episode left off, “Paw Patrol” gave viewers lots of meat on the bone. Backstory for Crazy Jane, a (temporary) return for Niles Caulder and creation being undone and redone. Flipping back and forth through different time periods and worlds, the episode managed to keep up its quotient of crazy whilst also delivering real sentiment and heart. Genuine pathos and human emotion was the order of the day here, mixed in with all the usual black humour and “wtf” moments, whether liberally spouted from the mouth of Cliff Steele, or moments so bizarre they almost defy description. With the world on the brink of ending at the hands of The Decreator, blinking people and objects into oblivion (no Infinity Gauntlet needed here), mortal enemies are required to team up. With Caulder still trapped at the hands of Mr Nobody, the omniscient Morden is forced to release Niles to help combat the threat. The scenes between Timothy Dalton and Alan Tudyk are spectacular, full of crackling dialogue and interplay. Two wonderful actors at the top of their game. Dalton full of earnest stoicism and Tudyk the flamboyantly dressed, arrogant character with meta-references aplenty. Dalton particularly shines the brightest this week, as Caulder has his biggest episode yet in terms of screen time. His interaction with each of the characters is top notch, as moments of real intimacy are interspersed with the more wild moments. The affection that he holds for all his recruits is palpable, as, during his fleeting stay in the real world, he shares moments with everybody. Whether that is tending to Cyborg’s wounds, discussing his shared history with Kipling (which is something I would love to see more of if Sheppard returns to the show at a later date), or the genuine sorrow he shows in having to leave the team behind once more, Dalton runs the gamut of his acting range and showcases his quiet charisma and intensity that made him my favourite of all the Bond actors. His inevitable return cannot come soon enough. 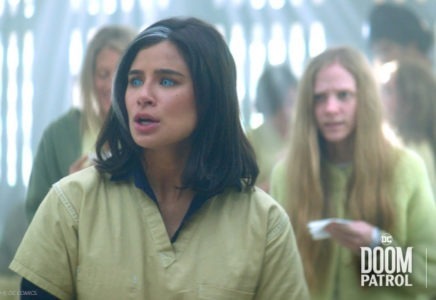 The other standout performer this week was Diane Guerrero. We were treated to the genesis of Jane’s personalities manifesting their various powers. Set in 1977, Jane is still in a mental hospital when she gets her powers from a treatment. While restrained, she is injected with a substance that triggers a reaction, presumably transforming the personalities into super-powered beings in the process. It is a bit of a departure from the source material, as her abilities come from the detonation of a gene bomb. One such personality, Dr Harrison, is gifted with the power of persuasion, able to manipulate others in to doing her bidding. Guerrero’s portrayal of Harrison was a new string to her already loaded bow, as she has a seemingly endless stream of characters to play with. Understated and less showy than other personalities, it makes for a nice change of pace. This power of persuasion is a vital weapon in the way against the Decreator, as Morden travels back to ’77 to recruit Harrison to their cause. Her task? To amass followers in a new cult to combat the existing one. Enter The Cult of the Rewritten Book, following the Recreator. A positive to the existing negative, this makes perfect sense in the context of the show, as the disco dancing cult of followers will the Recreator into existence. No spoilers here, but suffice to say the final scenes of the episode are some of the best yet. 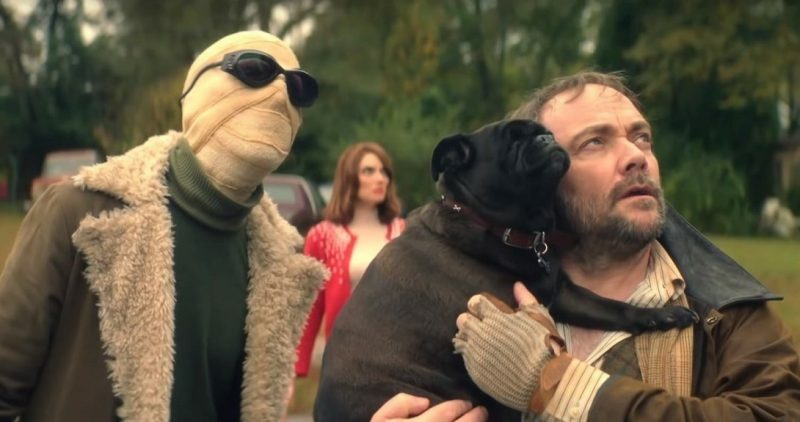 If scenes involving Pugs that are the key to saving the world are your thing, along with scenes of carnage set to Anita Ward’s Ring My Bell, then you are in for a treat right here. As with a lot of the show, it is best seen for one’s self rather than trying to decipher a recap. With Caulder gone again, at least for now, it will be intriguing to see where our team go next. With the end of the world crisis averted, what direction will the Patrol go next? 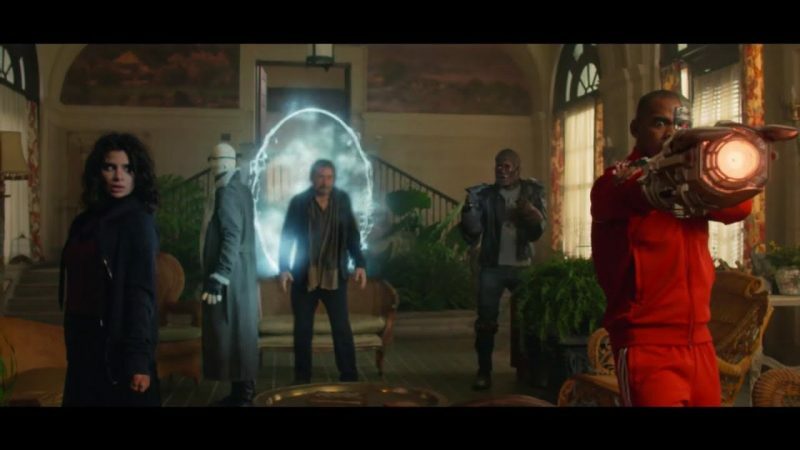 Why did Morden implore Jane to look for the Doom Patrol, does it relate to a previous line up of the team. The trailer for next week’s episode certainly seems to hint at elements of this, which can be enjoyed below…..